It’s official – IAFF strongly supports the 2020 Tokyo Olympic 50 KM race walk event. Additional details can be found in the attached Press Release as well as an interview with Olympian race walker Evan Dunfee after he heard the news. Thank you to EVERYONE who signed Chris Erickson’s petition and supported this important effort. Special thanks also to Paul DeMeester, who flew to London to the IAFF Council meeting site, booked into the same hotel the IAAF were meeting in and delivered his impassioned plea for the saving of his event. Paul’s efforts were nothing short of heroic and represent the kind of commitment we should all have for causes that really matter. Patient and competitive race walker Paul DeMeester has been rigorously training to qualify for the 50km Race Walk Olympic Team Trials. On 4/12/17 the IAAF will be meeting to vote on whether or not to abolish the men’s 50km race walk at the Olympic Games and IAAF World Championships and the 20km race walk moving to a half-marathon distance (21.1km). As supporters of these events, we should not, and cannot let this happen. Please join us and sign your name on the attached petition to join the fight to save these historic, Olympic events. I was recently at Foot Locker and found an extensive selection of basketball shoes. Not surprisingly, I discovered that Nike has the best basketball shoes available this season. I was underwhelmed by the other brands I evaluated at the store, including Adidas, Reebok, Converse and Under Armour. I previously blogged about the Nike Zoom Kobe VI basketball shoe, which is one of my favorite basketball shoes. Version VII is equally good. If you have a narrow foot, then you know how difficult finding a basketball shoe that fits can be, since most only come in medium widths. 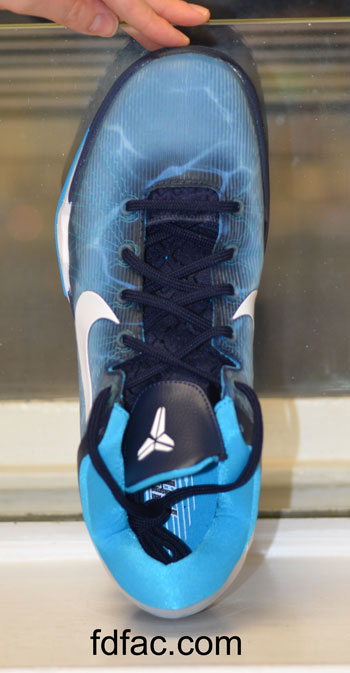 Even though sized medium, Kobe VII runs narrow (rectangular upper), which will benefit a lot of players out there. In profile, you can see how shallow the upper is, especially in the midfoot and toebox areas. New to Kobe VII is the Attack Fast insole, shown below, which has a thick, cushioned insole that aids shock absorption. Attached to the insole is an instep cuff that provides additional support and enhanced fit. 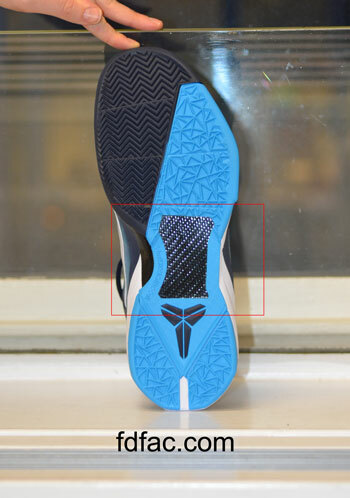 If you have a history of ankle instability, the Kobe VII with the Attack Strong insole may be a better option. The Attack Strong insole has an ankle cuff for added ankle support. 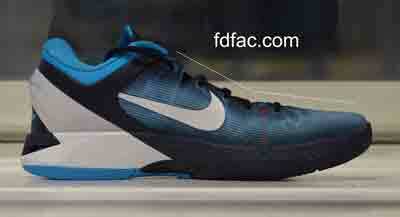 The best part of this shoe — Kobe VII is torsionally stable, with a non-collapsible heel counter. This means that even though it’s technically a low-top style, the Kobe VII is going to be more supportive than many other mid-tops out there. All in all, if you have a narrow foot, you will want to consider this shoe.